ABT Global - A global ERP Software System that grows with you. 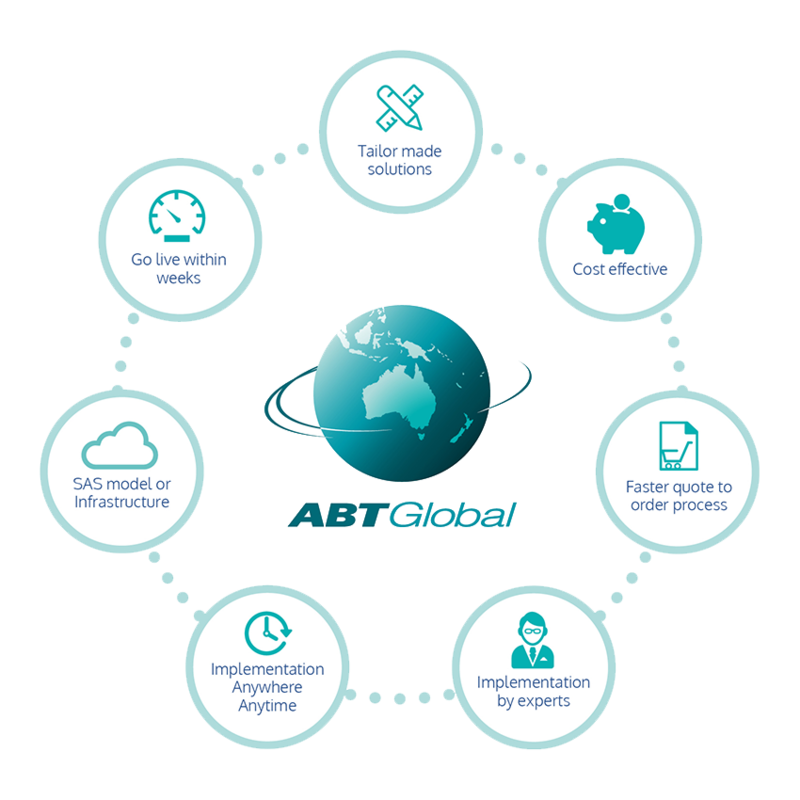 ABT Global is a leading global ERP business software solution that meets the demands of SME’s in the current global economy. Regardless of size, we (ABT Global) understand that each company have unique needs that we are able to provide unlimited tailor made solutions for. By bringing inventory, back office, sales, field operations, projects and more, together in the one system, we set all clients up for success. Does an ERP that has tailor made solutions and the ability to go live in just weeks, and grows with your company’s growth sound too good to be true? With ABT Global, it’s real! We can implement anywhere, any time for any size with our expert implementation teams. 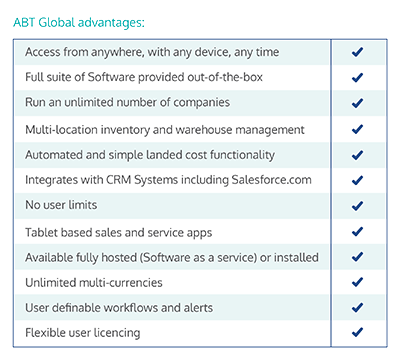 ABT Global features applications including but not limited to accounts payable, accounts receivable, CRM, fixed assets, general ledger, project costing, inventory, warehouse management, field service, construction, it is a flexible system that is sure to go above and beyond your desired needs, whilst staying within budget. Think outside of the square with ABT Global and you’ll have smooth running inventory that is based on customised applications specific to your every need and provide access from anywhere in the world. There’s no user limitations, we will work with you to customise your unique ERP needs and always ensure that you get the best value for money. The financial core of your business will be in good hands with ABT Global!